A few days ago, I posted about a recent Korean drama ludicrously entitled A Man Called God, which I saw in a DVD bin while hanging out with LoveHKFilm.com forum moderator, Wongsaurus. During our misadventures in Chinatown, we stopped at Red’s Place, and I was introduced to Helen, the bartender. 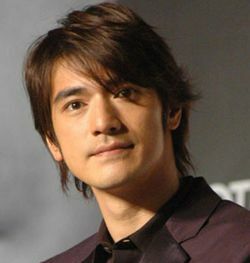 According to Wongsaurus, she said I looked like Takeshi Kaneshiro, and I heartily thanked her for the compliment. And when it comes to comparing a person to someone famous, that’s really how you’re supposed to do it. If you think a person you meet resembles a celebrity, I’ve always believed you should only mention it if that celebrity is generally considered to be handsome/pretty. Believe me: “You know who you look like? Jabba the Hutt” is never a good icebreaker.